Decode what tantrums mean and learn how to make your kids calmer, with the help of META-Health.Your parenting skills are put to test when your child throws tantrums in the public or even in the confines of your house. Temper tantrums in children is a part of their growing up phase. Dealing with them as parents can get frustrating. Tantrums are socially unacceptable, attention seeking behaviour displayed by a child or an adult and is generally characterised by crying, screaming, defiance, anger, ranting or hitting to gain gratification. It can be hugely embarrassing for the parents. According to META-Health, when an individual (adult or child) experiences more than two emotional shocks one after another, it gives rise to emotional imbalances. The first shock creates a physical problem like crying, and after the onset of the second shock, a behaviour problem may begin. Any behavioural change according to META-Health, is a survival technique used by a child to deal with their internal state of feeling disconnected, fearful, and unloved. A tantrum is a signal, which shows that there is an internal breakdown in the child, which is physically represented as whining, crying and a breakdown. META-Health has a better way of explaining behaviours that kids display at various points in time. Babies’ behavioural matrix is laid down at the time of her conception. Mother’s emotions impact the emotional and mental health of the child within the womb. The kind of relationship the mother forms with the child in the womb can mould the child’s future behaviour patterns. If the mother is calm, the child is calm, and feels loved, understood and supported which creates a possibility of fewer temper tantrums. If the mother is not happy and does not want the child, the child within the womb feels this rejection, which can create mistrust, rejection and hate, and can lead to excessive tantrums later. Our midbrain carries ancestral cellular memories; these memories also set a stage for various behavioural patterns including tantrums. Here is how stress during pregnancy affects a baby’s well-being. Are parents to be blamed for a child’s temper tantrums? Parent’s behaviour, to a certain extent, does shape a child’s behaviour and character. 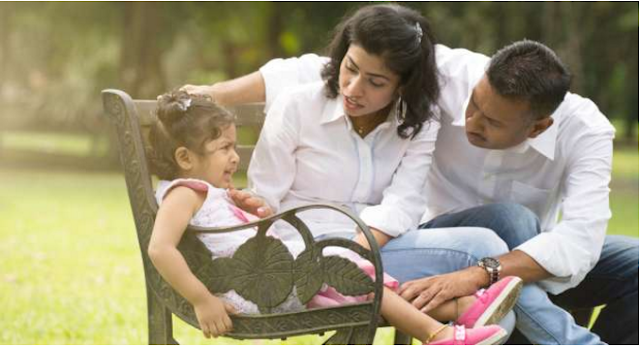 According to Sheetal Kapoor, child development coach, Mumbai, most parents have an unwritten rule for their children – ‘You do this for me and I will do this in return.’ That’s where the damage begins. Parents readily give into unreasonable demands of their children to buy harmony, love, understanding and trust. Children are supposed to perform well at school by getting appropriate grades or show certain appropriate behaviour to deserve material benefits. Parents and children manage to translate the intangible emotion of love into a tangible material product or behaviour to get something for their benefit. This is where tantrums are used as a behavioural tool by children to get their demands fulfilled. The kind of the gratification process used by the parent can also be responsible for an outcome of a tantrum. There are three kinds of gratification parents rely on: over gratification, balanced gratification or delayed gratification. Over Gratification: This is when parents give their child everything the child desires even before she asks. So the child is used to her parents giving her everything and makes her believe that her parents only love her when they comply to her demands. The result: Huge tantrums and disappointment when denied privileges. Balanced Gratification: She is given things after a lot of thought and reasoning. The child is also asked to make her own decisions. In this process, the child knows why she has been given or denied certain privileges. The result: fewer tantrums. Delayed Gratification: In this case, rewards are delayed and appreciation comes in late. Most damage happens here. The result: Uncontrolled tantrums. In both ‘over gratification’ and ‘delayed gratification,’ the child does not understand why her parents are not ready to give in to her needs. She may feel rejected, unloved, isolated and punished and might feel justified in using tantrum as a strategy to get what she desires. This may create a false feeling of short-lived power over her parents. If parents give in to her demands, it may create a vicious cycle of bullying, tantrums and twisting the parents into submission to fulfil her demands. • Use balanced gratification method. Over gratification and delayed gratification can cause behaviour problem. • Make sure that your child knows that you love them and that rejecting their demand is not the same as rejecting them. Spend more time with your kids, talk, communicate and shower love with hugs and kisses that help them differentiate between love and materialistic needs. • Keep love simple; do not complicate it with material gratification. • Don’t negotiate with your child with phrases like, ‘Don’t cry, or I will not hug you. Do that or I will not talk to you.’ Such phrases can leave your child confused. Tell your child what she should do rather than what she should not do. • Just because you have to go to office and leave your child behind, don’t try to compensate by buying him material things. Explain to your child that you are going to work and you will return to be with her. Find a stress-free time for you and your child to play with her. • Be firm with your ‘No.’ At the same time, make sure that your child feels loved. Also, know why your no always means a yes for your child. • Stop blaming yourself; take responsibility by pausing to understand the discomfort your child is facing. Step into his shoes to understand where and why your child is losing his power that she is displaying the behaviour of being out of control. Observe what has changed in your environment, which is difficult for you and your child to deal with. • Make sure that you don’t abuse your child and be alert to any kind of abuse, which may well be then displayed in the form of tantrums. However, even after following these tips, if your child has a tantrum problem, check your internal and external environment. Children rarely have a problem; they are just a reflection of their parents, school environments, and their friends. It is important for the parents to be brave enough to see their imperfections as these are reflected in the child’s behaviour. Well, I feel we have to learn how to #chill. #Listen and create a #smile. Conducting a workshop in #EFT. #Happiness can be in sharing. Anu Mehta working with EFT on a client . Having a cozy dinner with family.